STAINLESS STEEL BRAIDED ROPE LINK NECKLACE. Material: Solid 316 Stainless Steel. Clasp: Stainless Steel Lobster Claw Clasp. Length: 23.5inches. Style: Braided Rope link chain. Weight: Medium/Heavy. 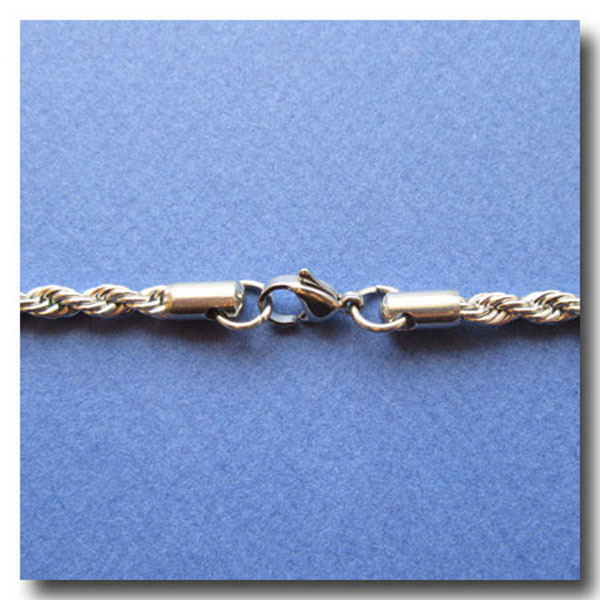 Width: 4mm.This modern stainless steel necklace combines a touch of vintage appeal with it's rope design. Wear alone or add a pendant.